If you want a piano which is a veritable work of art, as well as a sensitive and dependable instrument, you’ll love our Kawai Grand Pianos. These exceptional designs feature ten thousand custom parts and they are crafted from fibre, metal, wood and an array of other high-quality materials. The process of creating these grand pianos is intensive and requires years of skill, dedication, training and experience. The painstaking attention to detail which goes into creating these grand pianos is the reason why these precision instruments are so beautiful to behold. Their players are able to transmit a host of emotions and moods while they play them. Sound quality is superlative and these gorgeous instruments are definitely a pleasure to play. This type of grand piano is the perfect blend of modern technology and traditional craftsmanship. If you want a Kawai Grand Piano, you’ll be pleased to know that our company will offer you a competitive Kawai Grand Piano price. It’s important to find a Kawai Grand Piano supplier with a strong and positive reputation and our company has a proven track record. 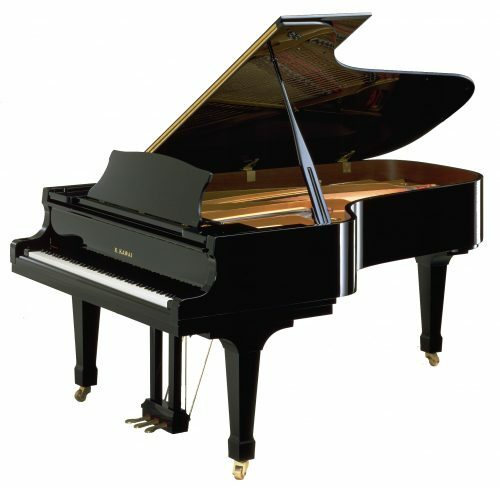 We’ll offer caring support and guidance as you choose a Kawai Grand Piano for sale and move forward with your purchase. We ensure that every customer receives personalised customer service, as well as a glorious grand piano from one of the world’s premier piano manufacturers.